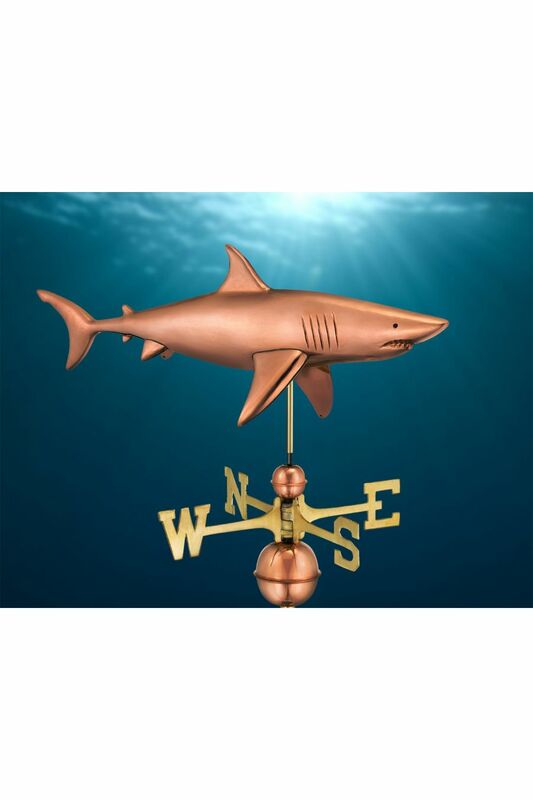 Just when you thought it was safe to go back in the water, here comes this fearsome shark weathervane! 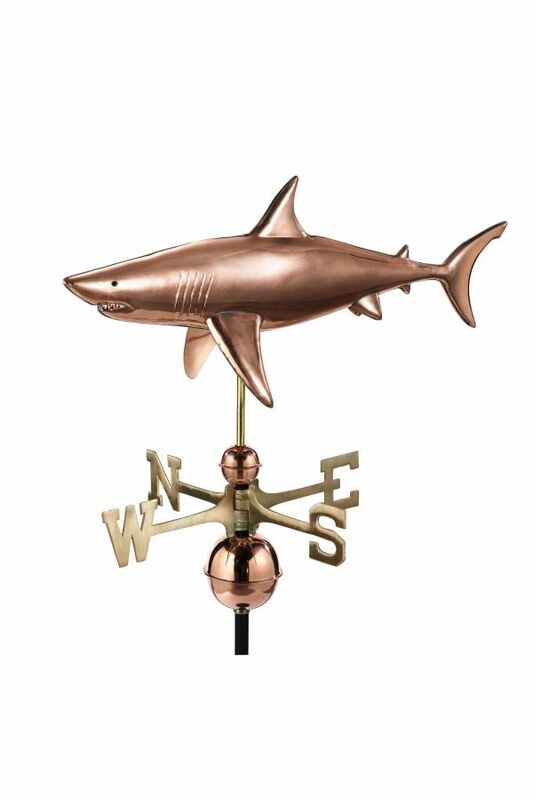 You won't need a bigger boat to reel in this toothy predator as he adorns the rooftop of your home, garage, cupola, barn or gazebo. 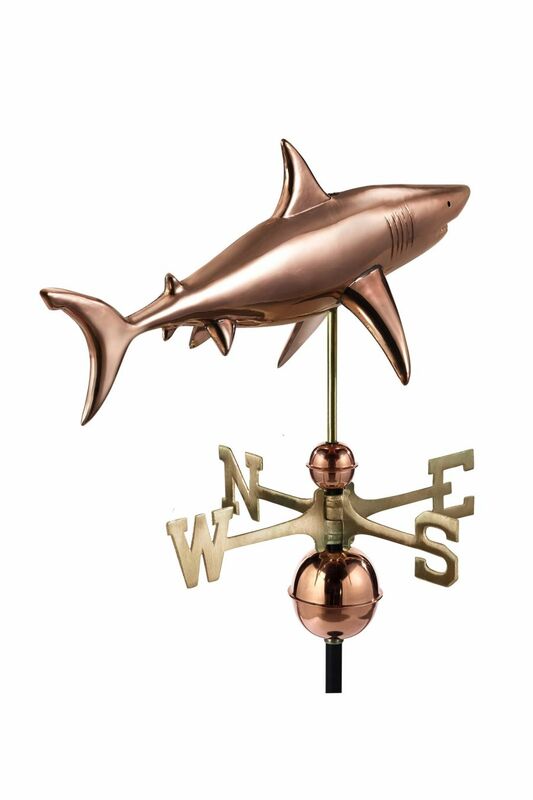 30"L x 14"H x 6" W (Measurements are for Figure only) - This beautiful Weather Vane is available in polished Copper - Weather Vane includes Copper spacer Balls, Brass Directionals and a black powder coated Steel Rod - Measurements shown are for figure only - Add an additional 32" to the overall height to accommodate the spacer Balls, Directionals and Rod - This is a perfect finishing touch for one of our beautiful Cupolas for years of maintenance-free enjoyment or can be mounted separately - Mounting options are sold separately - Includes easy to install instructions and has a 1 year limited manufacturer's warranty.